Unjeong, the rapidly growing suburb of Seoul, is growing at an amazingly fast rate. 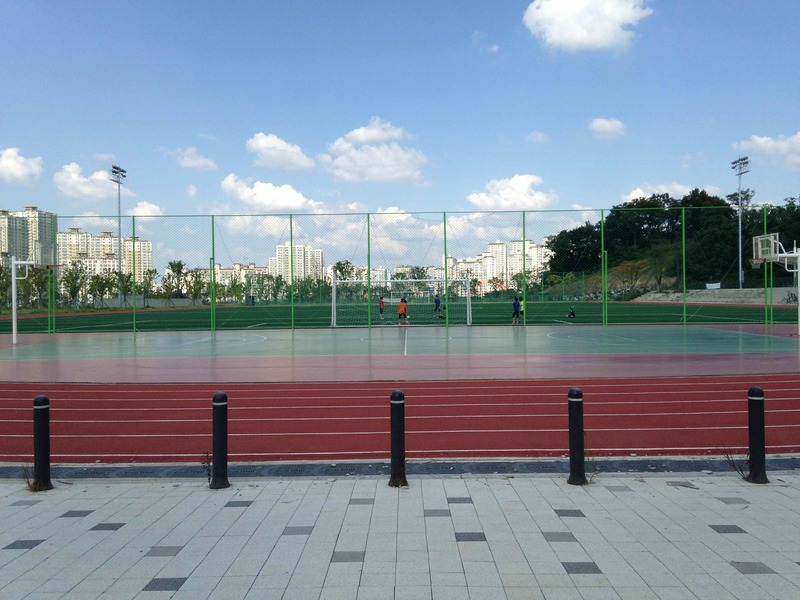 The city of Paju is facilitating that growth by developing tremendous parks. Unjeong Health Park is one of the finer parks you'll find near Seoul. It is huge and has plenty of athletic facilities. The basketball courts in the park are in great condition and perfect for an afternoon of balling with friends. 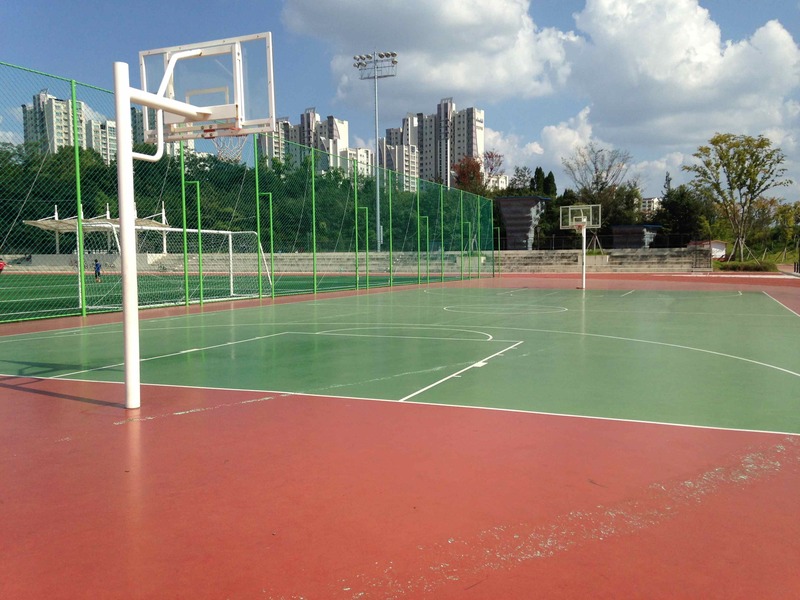 Unjeong Health Park has a full court hard-surface basketball court that sits in a very spacious wide-open environment. It actually lies behind the goal of a soccer field and inside a 400-meter running track. The court lies in the very scenic Unjeong Health Park. Although nestled inside of and next to various athletic facilities, there is little to obstruct the view in most directions. It is off the beaten path and hard to get to (Some people may view this as a positive.) It is approximately 3km from the nearest subway station and has no bus stop immediately close by. Therefore, rarely do groups of people gather for pick-up games. Although, if you are looking for a decent court for a little individual shoot-around, or organize a game before-hand, then this court could be exactly what you're looking for. There is not much in the way of shade nearby. Best to avoid during the middle of a hot day. Make sure you bring plenty of fluids. There are no water fountains or convenience stores nearby. -Take a taxi to Unjeong Health Park. Walk up and over the hill to find the court. Or, if you'd rather navigate there yourself without the aid of a taxi, check out the map below and do your best.